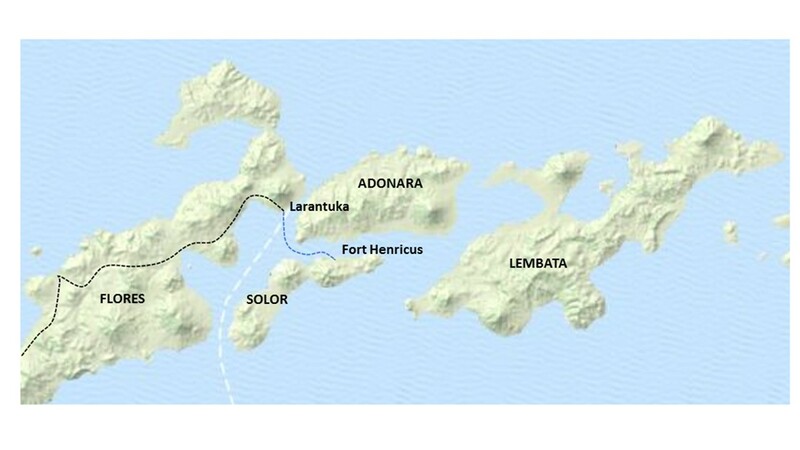 When the 1511 Portuguese expedition to the Spice Islands led by Antonio de Abreu reached the north-eastern end of Flores they found a promontory which was a landmark for ships sailing this coast. Known as Tanjung Bunga in Malay, the Portuguese called it Cabo de Flores or the Cape of Flowers. 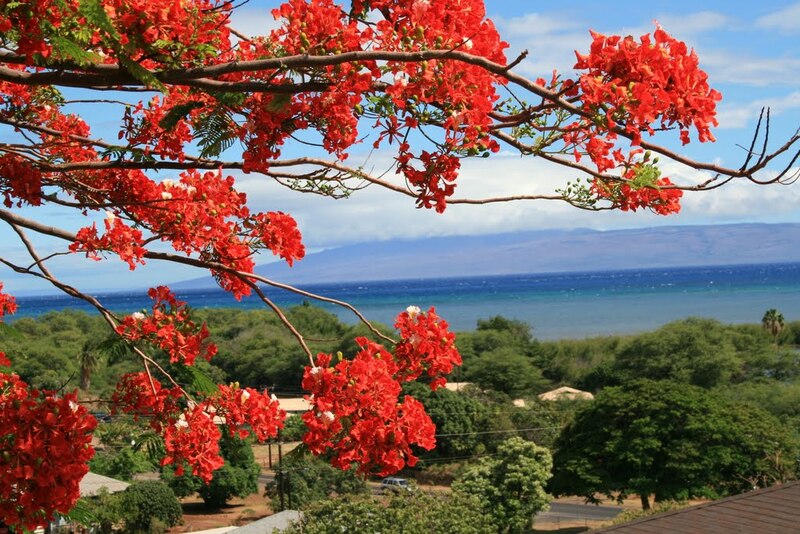 It was probably named after the flamboyan trees that grow in profusion along this peninsula, bare during the dry East Monsoon their branches burst into a blaze of scarlet blossoms before the rains are due and spread day by day until the trees are a mass of flaming glory. 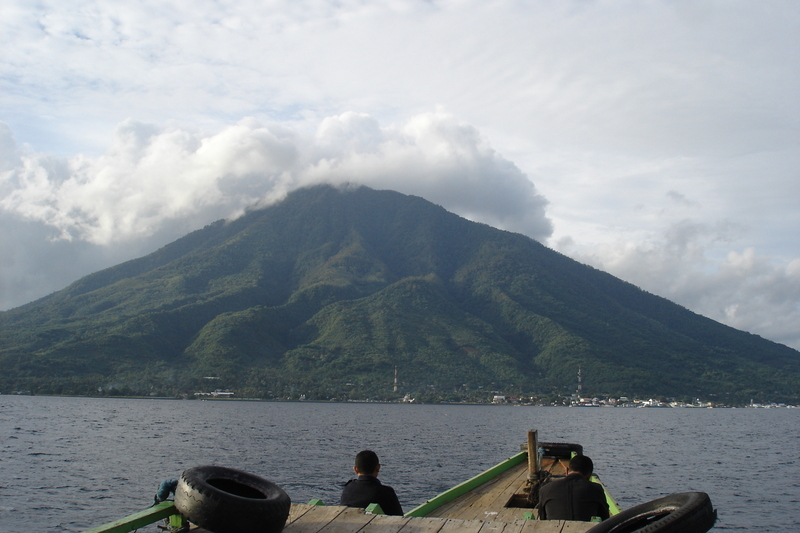 We approach Larantuka in the late afternoon and rain clouds are gathering around the volcano, Ile Mandiri which forms a backdrop to the town. Larantuka is an overgrown village situated on a narrow strip of land that lies precariously between the steep slopes of the volcano and the deep water of the Flores Strait. It was probably the combination of cool, clean water flowing from the mountain and a good deep-water anchorage that formed the basis for the original Portuguese settlement here. The Portuguese brought their religion with them and in the space of a few kilometres along the waterfront road I count five different Catholic churches as well as the twelve ‘Stations of the Cross’ in the public park on the waterfront. Opposite Larantuka is the island of Solor and it was in the dry, open, monsoon forests of Solor and Timor that sandalwood flourished. Dominican friars established a Christian Mission on the island of Solor in 1561, about the same time as Portuguese traders established themselves on the Macau Peninsula. As the Chinese were the main consumers of the aromatic sandalwood in the region, the Macanese traders opened up a direct route linking the city to the island of Solor which became the base for Portuguese traders dealing in sandalwood from Timor. This allowed the Portuguese to follow the dreams of the ancient European alchemists as they succeeded in converting iron into silver. Iron parangs or machetes could be traded in Timor for sandalwood, which was then traded in China for silk, which could then be traded in Japan for silver. Larantuka became the base for independent traders sailing to Timor to collect sandalwood and attracted deserters from the Portuguese, the Dutch East India Company (VOC), Chinese smugglers and Eurasian cutthroats. These outcasts of the islands, and answerable only to themselves, were able to live in Larantuka with their native consorts free of any Crown or Compagnie control. They came to be called Larantuqueiros and could be variously described as free traders, freebooters, pirates, buccaneers, swashbucklers, corsairs or privateers. Jan de Hornay, the Dutch commander of Fort Henricus on Solor after its capture from the Portuguese in 1614, began dealing in sandalwood for his own account. 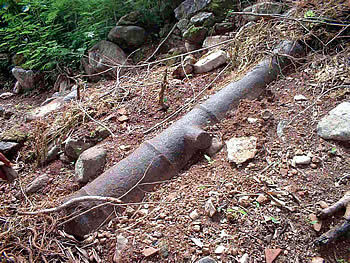 Suspected of corruption by the VOC he deserted to join the Larantuqueiros in Larantuka. Here he married a Timorese woman with whom he had three children, Sara, Antonio and Francisco. This mixture of Timorese and European blood later allowed his son Antonio to move easily between Larantuka and the Portuguese settlement at Lifau Bay (Oecusse) on Timor. For the next 200 years the Larantuqueiros were the dominant power in the eastern islands and allowing Antonio de Hornay to call himself the ‘Uncrowned King of Timor’ . This entry was posted in Uncategorized and tagged archipelago, flores, ian burnet, larantuka, larantuqueiros, oecusse, sandalwood, solor, timor. Bookmark the permalink.